Thank you everyone for doing business with American Auto Transporters. Your auto transport reviews, word of mouth referrals, and loyalty contributed to our growth over the past 38 years. If you would like to submit an auto transport review, please view our business on various social networks or contact us today. Often we find ourselves quick to complain when we receive poor service and usually don’t bother acknowledging when we receive excellent service. I would like to thank your company for transporting my Mazda Miata from Canton, MA to Luling, LA. I received my car in only 3.5 days when I was given an estimated time of 5-7 days. My first contact was with Tom in the office. 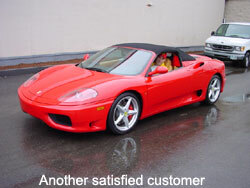 He was professional and easy to work as well as very assuring of the safe delivery of my car. The driver and his co-worker were extremely professional and polite. They communicated with me on at least two occasions as to the status of my delivery. On the day of delivery, I watched the driver unload my car with gentle care (although I was nervous). My car arrived in perfect condition. I would recommended your company to anyone looking for quality customer service. Just a quick note to tell you pleased we were the the service your team provided.We dropped the car off on Friday and it arrived Tuesday at Brady’s in Fort Myers. Brady met us at our flight on Saturday 1/15 for a short ride to his lot. We were in our car in fives and on the way. Great job by all involved. See you in April. Stay warm! Nick. Just wanted to say how pleased we were with the service to transport my sons escalade from Bellingham Washington to Canton. Mike was great to deal with and Dave the driver was nice to deal with. Tell Mike we will get him tickets to Providene Bruins game or when Zach is in Boston we will try to get him tickets. Thanks again. We will pass on your name to the other hockey players. I want to add my name to the long list of satisfied customers. My prized possession (2001 Boxster) arrived yesterday on time and on the prearranged schedule with absolutely no damage. Despite my anxiety (from my Army days when auto transport always meant damage and missing parts or accessories) everything went without a hitch. I especially appreciate the personal care and pleasant help from the people in Canton as well as those at Brothers Auto Transport in Fort Lauderdale, who were helpful and kept me informed at every stage of the process. Great work! Seamless, courteous, on time. Your service was impeccable. We’re new customers and plan to use AAT each year for shipping a car to our summer home. Many thanks! Great service! See you next year for shipping it back to Florida. Just wanted to inform you that I would like to THANK YOU very much for the great customer service I received, and the PROMISES THAT WERE PROMISED AND TAKEN CARE OF. I look forward to using you next year. Again thank you. This note is to thank you for doing such a great job moving my car from near Boston to the Seattle, Washington area. I especially want to call out Nick and Tony’s support during an issue on delivery. They took a call well after regular hours, drove to the office to verify some information about my account, and directly involved themselves in resolving my issue. Their support went well above and beyond expectations, and it made the entire experience working with American Auto Transporters very positive. For the past ten years your company has handled the transportation of my car to and from Florida. I would like to express my appreciation for your services, scheduled picku-ups (always on time), delivery of car (usually ahead of schedule), and kind and considerate replys to inquiries with a sincere Thank you! I wish that all the business I do business with were as courteous and reliable as yours!!! Keep doing exactly what you are doing! I wanted to tell you what a wonderful experience it was using your transport company to ship my son’s car down to him in Miami, Florida. I have heard many bad stories of how some companies damage vehicles and the cars take weeks to get down there. It was my first time shipping a car and it was truly a stress free experience using your company. Your driver showed up when he said he would be there, I could use a credit card, did not have to pay in cash and the car got down there when they said it would. With my son going to college in Miami I am sure there will be other times when I need to ship a vehicle. I would not hesitate to use your company again in the future Thank again. Superior Service. Have used this company 3 times and will again. You can’t improve AAT, it’s dependable, reliable and very professional. hello, i’m very happy with your service, quick responce, and very good driver, would use your service, again, when need to move any cars. I know that due to the nature of your business, you must get lot’s of picky and uncalled for negative comments,or complaints. Well, this letter isn’t one of them. Just the opposite. I wanted to thank you so much for the service and assistance that went well above and beyond good service. 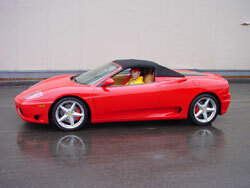 I have been using American Auto Transporters for several years, and have been quite satisfied. This year, because of an illness and subsequent death in my wife’s family, we had to make a decision to change our schedule and leave Florida three weeks before we had planned to. I had a date already set for my car pickup and called to change it. Ritchie took care of everything and the change was made without any hassle. Between the time my car was picked up and we had come back up north, my mother-in-law did pass away and we needed the car. Again I spoke to Ritche and not only had my car arrived (in less than a week ) but he delivered it to us that night ( at ten o’clock ) so we could have it for the funeral etc. the following day. What can I say but a truly sincere “THANK YOU”. I apologize for the lateness of this note. However, let me assure you that it is written with utmost sincerity. I delivered my car to your terminal last December to be shipped to Cape Coral, FL. The car was checked thoroughly by a very courteous manager, and we were gone in less than 20 minutes. The car left Norwood on Monday afternoon. On Thursday, the day after Christmas, we received a call at our home in Cape Coral from the driver, telling us that he would be there by 3 pm. At 2 PM, my husband went to the parking lot to wait, and there, already parked, was my little red Toyota! The driver had spent Christmas with family in Gainesville and then onto Ft. Meyes/Cape Coral. I am amazed and very grateful for such excellent service, especially during a holiday week. It is nice to know that customers are VIP and I will highly recommend your company. I thought you would be delighted to hear that a person who I referred to you, called me to thank me for the recommendation. It seems that he delivered his car to Budget Rent A Car, West Palm Beach Airport on Monday, April 7th and received a message from your office on the morning of Wednesday, April 9th that he could pick up his car at the Norwood terminal. What great service you are performing for the southbound travellers. It must be rewarding to you with personal satisfaction to be able to assist you customers with such speedy deliveries. You have not only perfected your operation, but your pleasant manner, cordiality, and friendliness makes it so comforting to all who do business with you. I want to take this opportunity to thank you for the excellent service which I received when I shipped my car with you from Quincy, MA to Norton Grove, Il. The service was very prompt and I want you to know that everyone I came in contact with from your firm was efficient and courteous. Thanks you for this excellent service. Once again, this is my fourth year I will entrust my vehicle to your company. I am alone going to Florida. It is good to know my car will be waiting for me when I arrive at the Ft. Meyers airport. I have received excellent service on your behalf. Thank you for the past. I know I will be happy again this year. I am writing to you in regards to my Lincoln Continental coming from Norwood to Florida. I delivered the car to your terminal on Monday at 11:15 am. The paperwork and inspection were done very promptly. I arrived at West Palm Beach on Friday at 5:30. I took the bus over to Budget and my car was there waiting for me, and it was in good condition. Out of curiosity, I asked the attendant at Budget “When did this car arrive at Budget?” He told me 12:26 PM on Thursday. This obviously is very good service. I have been sending my cars back and forth to Florida and the Cape for the last few years through American Auto. I recognize your problem going between April 15 and May 15. There are more cars than is transportation available. I know that you and Ruth always do your best, and the purpose of this letter is to tell you that I am pleased with American Auto Transporters. For ten years we have used your transport service to and from Florida, and for ten years you have hit home runs, never a fumble, never an error. We arrived at our home in Florida the evening of October 22nd and wondered when our automobiles would catch up. The following morning, 8:30 am, we received a call “would it be acceptable to deliver the cars before 10:30 am. Both cars arrived freshly washed. When we arrived in Florida, our car was waiting for us as you promised. I want you to know that for the many years we have been shipping our car through your company. We have found you the most reliable of our previous companies. It is heartening to know that the consumer dealing with you can have peace of mind. I want to thank you very much for the great service you gave us with our car transport. Our car came in perfect condition and right on time. I’ve talked to so many of our neighbors who used other transports and had bad experiences. I feel lucky to have heard of you folks and hope to use you in the future.